There has been a rising demand for handmade and bespoke items since the internet has made specialist buying so much easier, and if you excel at crafts or sewing, then you might want to consider selling them. 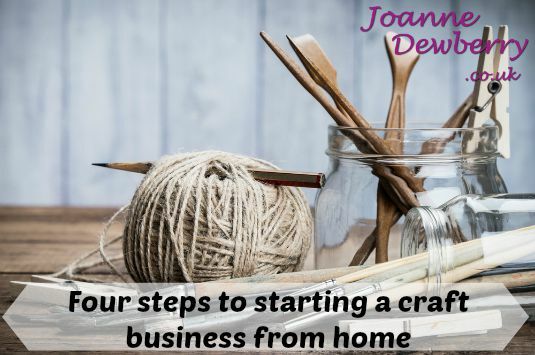 However, there are a few critical things you need to consider before starting up a home business, and we’ve written a checklist of things for you to investigate before you take the leap. Getting paid for something you love is the dream goal for a lot of people however, it’s important to evaluate whether the things you love to craft have a target market. Doing a little research is essential, check to see if what you make is filling a gap in the market. Sewing a few prototypes of different items and getting friends and family to test your products is a good way to start. Also, offering local businesses a few free samples of your items to sell is another great way to get feedback. Your time, materials and equipment will be your initial investments, and for a small business this means a small financial outlay. For example, if you are wanting to make bespoke curtains, or pretty pillow covers, you could simply be upgrading your sewing machine to a professional construction model such as the Singer 2250 Electronic Sewing Machine. The first year of any start-up is mostly trial and error, so it’s important to keep your stock of materials to a minimum until you can gauge what your regular output/demand will be. For selling, the internet should be your first port-of-call. There are craft auction sites and handmade and bespoke online retailer venues; most of these virtual stores are free to use although some will take a percentage of each sale. There are always plenty of craft fairs running throughout the year in towns and cities, and this can provide an additional income source as well as allowing you to advertise your online venues. A little competitor research can go a long way. Online marketplaces such as Etsy, are a good place to begin your search and from here you will be able to find information on products that are similar to your own. See if they offer any introductory discounts or bonuses on their business pages or social networking sites, maybe you can improve the offer without damaging the cost to your overhead. What you may have only considered a hobby can easily become the start of a flourishing business if you have the drive and the put in the time. We hope this guide has helped, now it’s up to you! For further information on turning your hobby into a small business do check out my book Crafting a Successful Small Business. This guest post complies with my Disclosure Policy and includes and affiliate link. Next Post Interview : Peter R. Shakeshaft – should we invest in wine?